The 9th summer of RinkRat 19 Hockey School was again filled with great people, a ton of hockey, and unforgettable memories. These two weeks of camp are by far my favorite part of the summer. 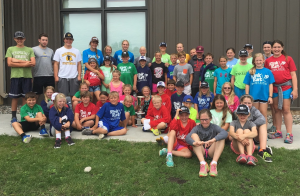 It’s a blast to see past campers and to witness their growth as both as hockey players and people. I also enjoy meeting the new campers and watching meaningful friendships form. Another reason I love RR19HS is because I get to work with a remarkable group of coaches and staff. Our team of coaches includes U18 World Championship gold and silver medalists, Women’s World Championship gold and silver medalists, and Olympic silver medalists. We also had multiple state and NCAA champions. Not only do the coaches have great accomplishments, but more importantly they have outstanding character. It is also important to recognize and thank Hannah, my parents, and the entire off-ice staff who made camp such a success! 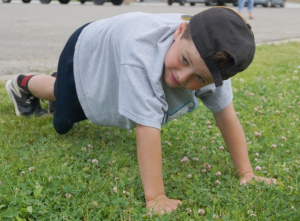 Finn absolutely crushed all of the dryland competitions and was named the RR19HS Ironman Champ with a world record plank hold of 17 minutes! 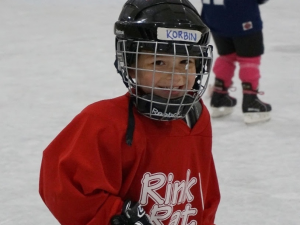 Ady, Korbin, and Oli were our three youngest skaters, but may have had the most joy out on the ice! Last March, my Boston Pride team won the first ever Isobel Cup as champions of the National Women’s Hockey League. As winners, each player got to spend a couple of days with the Cup and I chose to have it during RR19HS. This of course was a surprise for the campers, so they were very stunned and excited when they saw it. Issy was especially ecstatic, as she had written a paper on the Pride and the Isobel Cup during the spring. Connie’s homemade chocolate chip cookies were a huge favorite at the snack shop this summer! Over 350 cookies were made and probably half of those were devoured by Kyle. One of my favorite memories was this conversation after the third day of camp: Kyle came off the ice looking for the snack shop, but all of the treats had already been put away. Ever persistent, he tracked me down and asked if there were any cookies left. I said, “I’m not sure but I’ll check. If there are any left, how many do you want?” Kyle, completely serious, replied, “10.” Haha!!! (Unfortunately there were only 3 left for him to eat). 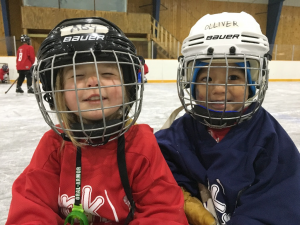 We’re so thankful for the privilege of skating with your kids! We hope to see you back again this summer! “The Lord your God is a consuming fire” – Deuteronomy 4:24. In my family, almost every summer night ends with a bonfire at the boat house. We absolutely love being on the lake and refuse to leave its waters when the stars come out at night. Therefore, when it becomes too dark to ski, swim, or kayak; someone starts a fire and texts “bonfire at the boat house!” to all who aren’t already present. Soon enough the s’more stuff comes out and the marshie roasting competition begins. Everyone’s a winner because everyone has their own marshie making style: Connie Lou (burnt to a crisp), Robin (golden brown), Randi (fall off the stick gooey and golden), Kathy (hmm she loaded up on chocolate but forgot the marshie) and Esso (straight out of the bag and into her mouth). As we sit around the bonfire, we are filled with joy from the blessings that surround us. The boathouse bonfire will eventually go out; however, God’s fire will never stop burning. Every day we choose whether our fire for Christ is a raging bonfire or smoldering embers. How does our flame burn brighter? By adding fuel to it. At the boat house we use newspapers, cardboard boxes, and freshly cut wood to keep our s’more maker blazing. A spiritual fire requires fuel such as verse memorization, praying, bible studies, worship, and fellowshipping with others. I pray that we train daily by adding spiritual fuel to the Holy fire already burning within. Hello and welcome to my blog! My name is Gigi Marvin and I’m training for the everlasting crown mentioned in 1 Corinthians. This crown, or prize, is the gift that God has given to all: “For God so loved the world that he gave his one and only Son, that whoever believes in him shall not perish but have eternal life” (John 3:16). Jesus came to Earth, died for our sins, and then conquered death by rising to life. He did this so that we can have everlasting life through Him. Therefore, the prize that we all can have is this God given gift of a new life, free from sin and filled with love, joy, and peace. Why would I need to train daily for this prize if I already accepted Christ into my life and therefore received the prize? Well, let’s draw an example from my life in athletics: Say today I was told that I’m guaranteed a spot on the 2014 U.S. Olympic Women’s Hockey Team. I’m on the team regardless of what happens in the next 5 months. I’m a certified, 100% lock. Does having my ticket stamped to Sochi mean that I should pick and choose when/how often I workout? Does making the team give me the breathing room to neglect my teammates and staff by skipping team meetings? Does a non-reversable, 100% guarantee, mean it’s okay for me to do the least possible amount in every area of our Team First mantra? One of our team’s favorite quotes is “The Olympics aren’t every four years, they’re every day.” Every day we look to become better in all areas of our game; whether it’s nutrition, strength and conditioning, mental training, or team systems. We don’t expect to show up in Sochi and have a gold medal handed to us. We know that there is work to be done. We embrace it. We attack every day with our eyes focused on the prize.